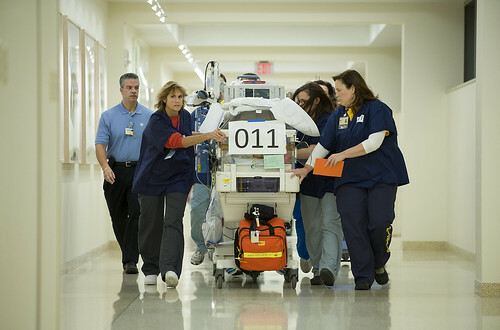 Patient safety is a serious issue in the United States. Experts estimate that as many as 98,000 people die in the U.S. every year due to medical errors. That’s more than die from motor vehicle accidents, breast cancer, or AIDS. So it’s important to understand what you can do to stay safe when receiving care. Blue Cross Blue Shield of Michigan is committed to being part of the solution. The Michigan Health and Hospital Association’s Keystone Center for Patient Safety and Quality — supported by BCBSM — has become a national leader in efforts to improve communication, reduce errors and prevent complications. In fact, BCBSM is in the midst of its second $6 million investment to help fund the Keystone Center initiatives, while providing incentives to hospitals to encourage participation. BCBSM also sponsors 12 Collaborative Quality Initiatives with hospitals across the state that have reduced many types of hospital-associated infections, including ventilator-associated pneumonia, bloodstream infections, and urinary tract infections associated with indwelling catheters. Each day, health care professionals are working together in hospitals, laboratories, pharmacies and physician’s offices across Michigan. This collaborative strength focuses on creating a consistent process of care that reduces errors, prevents complications, and improves outcomes and has made Michigan a leading state in performance improvement. However, there is still much work to be done, and patient safety as an issue can’t be something we think about only during Patient Safety Awareness Week, the National Patient Safety Foundation’s annual campaign to raise awareness. What can you do to keep you and your loved ones safe? What is my main health problem? You can also check out this brochure on medication safety.